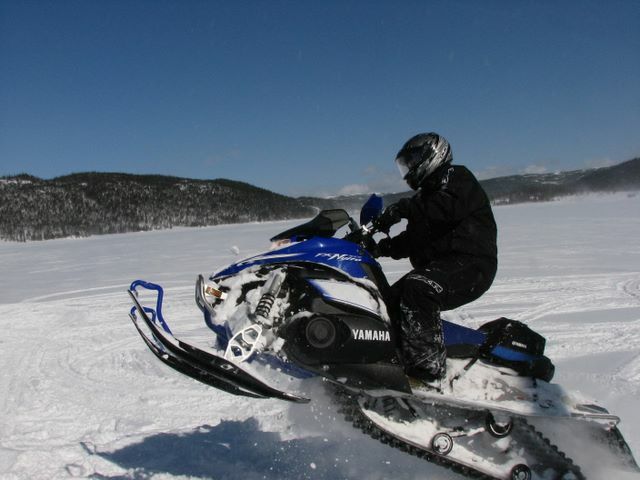 There are two things that everyone knows about Mark French, he loves snowmobiling and he loves his Yamaha sleds!!! I say sleds because as of this writing French is on his fourth brand new snowmobile and loves each new one more then the last! 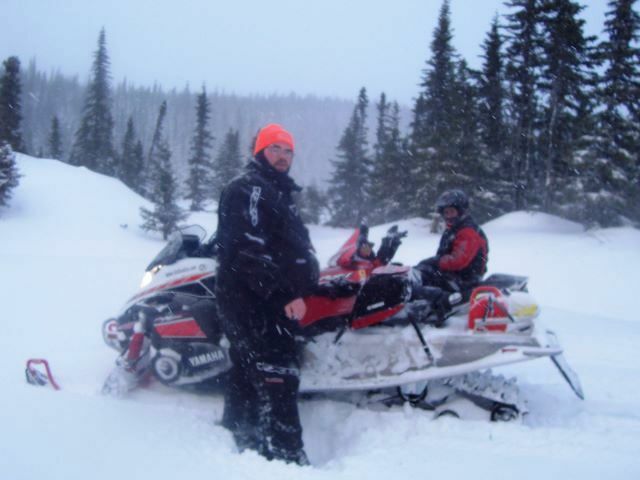 Mr. French's first sled was a 2004 Yamaha Venture 700 triple, as like many of us at the time he thought that being able to carry 2 people and have a rack for gear would be convenient/necessary. This sled was mostly stock and was quite a strong runner with a modern power valve version of Yamaha's fantastic 700 triple cylinder two stoke engine. This sled could easily cross open water, even while carrying two people! Over the course of that first winter, French realized that he didn't need to carry 2 people and gear could be carried by other means. 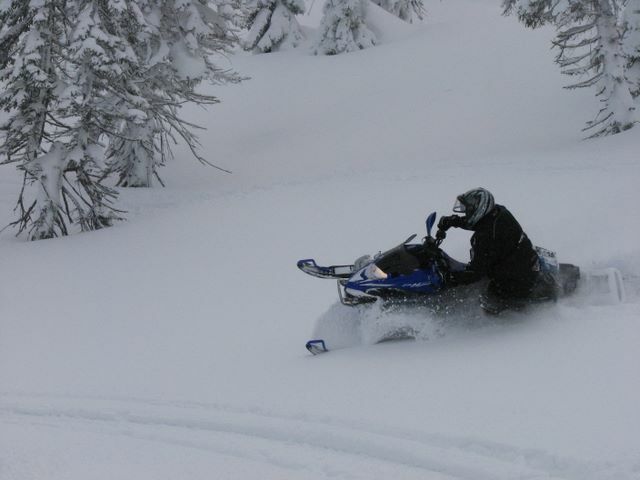 The following winter lured by the exciting new 4-stroke sleds from Yamaha, French traded his Venture 700 on a 2005 Yamaha RX-Warrior which is a 136" track version of the popular RX-1 1000cc 4 cylinder 4 stroke sled with a single seat. French rode this machine for a few seasons including a bunch of trips to the West Coast, making a few modifications along the way which included installing high rise mountain bars & riser from a Yamaha mountain sled, tunnel strengtheners, and heavier springs in the rear skid. 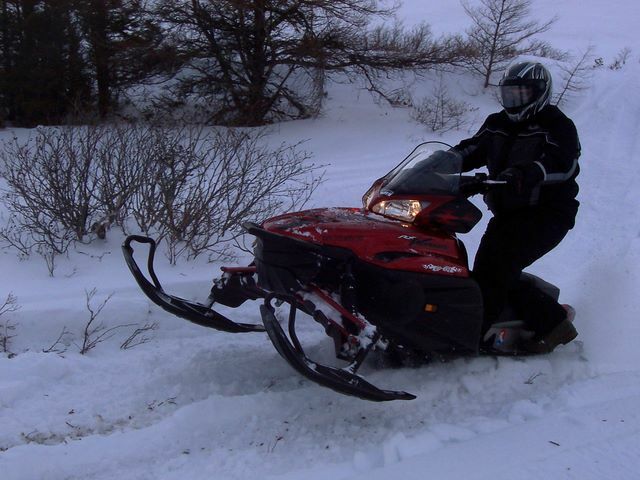 In the fall of 2007 French traded the RX-Warrior on a powder-hound machine, a 2008 anniversary edition Yamaha FX Nytro MTX with a 153" paddle track. The Nytro featured a 1050cc three cylinder four stroke engine mounted in a lighter more nimble frame compared to the RX-1 snowmobiles. This sled is the extra long tall lug Mountain Machine and was like a tractor in deep snow it went anywhere you pointed the skis and featured the anniversary edition Red, White and Black graphics. Modifications included the installation of a turned exhaust tip which exited the exhaust sideways instead of rearward making the rear tunnel more useable for carrying luggage. He installed a tunnel rack for holding a knapsack and/or extra gas, a set of tunnel strengtheners, and Yamaha removable saddle bags. Nervous of breaking track lugs in low snow east coat riding conditions, Mark carefully hand cut the stock paddle track from 2" to 1-5/8" for better reliability. 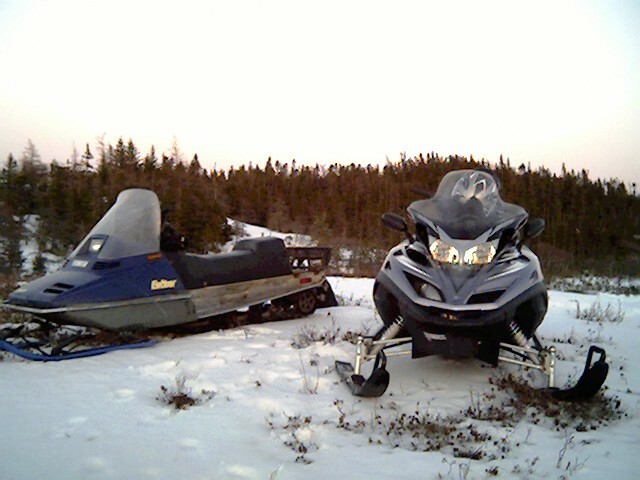 The fall of 2009 arrived and another sled enticed the brain of Mr. French, so the Nytro Mountain was soon traded on a 2009 FX Nytro X-TX which is a similar machine but with a shorter 1.25x15x144" rip saw track. For 2009 Yamaha made some significant front frame improvements, better GYTR adjustable shocks, and this XTX model featured tipped up rails. 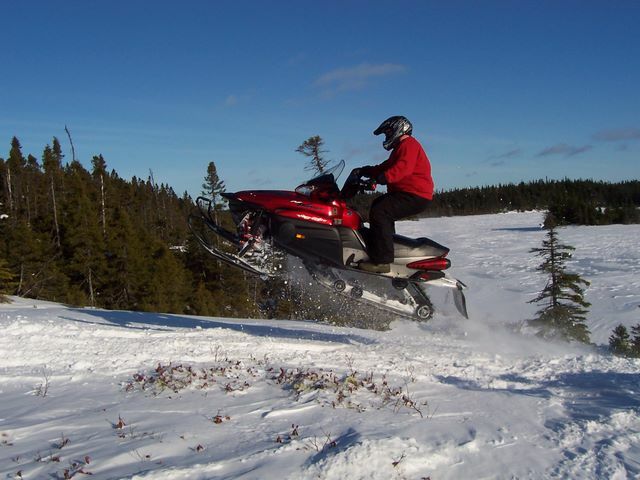 These rear suspension rails turn up 6 degrees where a 121" machine's track would end, which translates to a snowmobile that handles like a short track sled on hard pack and floats like a long track sled in deep powder! French outfitted this sled with many accessories, for a closer look check out his Nytro project on the Area51 page. 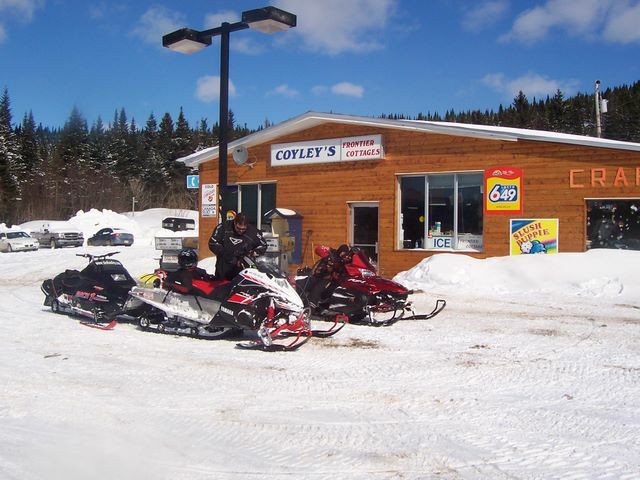 Mark sold this machine in the fall of 2013 when he purchased his new ATV, and will actually spend the first winter in years sled-less as he ponders his next purchase. Yamaha introduced a new chassis this year which comes from a partnership with Arctic Cat, and if it holds up as well as their older machines, you may just see Mr. French riding a YamahaCat in the future! 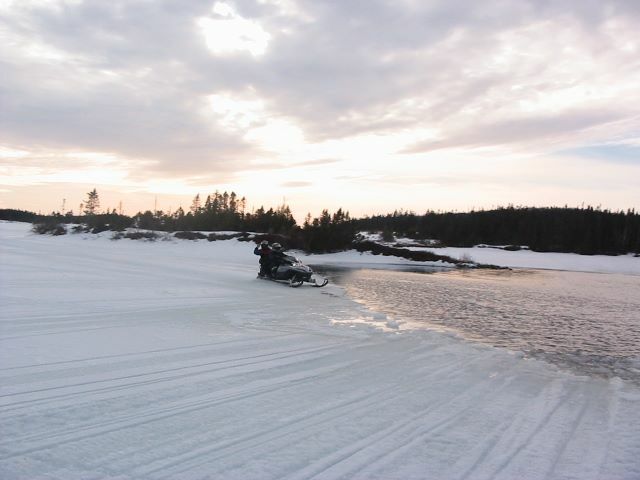 In the meantime French spent the next two winters cruising on Don's 2008 Venture Multipurpose 500 four stroke. 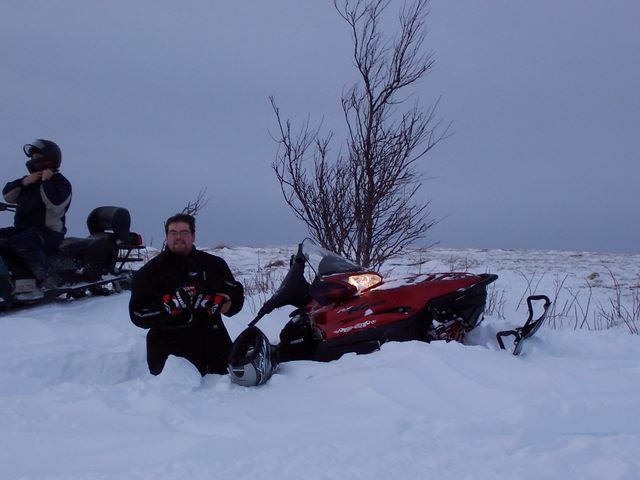 He made one trip to the West Coast, and numerous trips to the Cabin ice fishing before selling the sled in 2016 to purchase a new winter beast a 2016 Argo Avenger 8x8 with tracks.